Dear Clients, in the aftermath of the FR Tower fire, our offices may be damaged, but our spirits are stronger than ever. We would like to update you on some of our current activities. aamra teams who were stationed in FR Tower have shifted to Safura Tower for the time being. 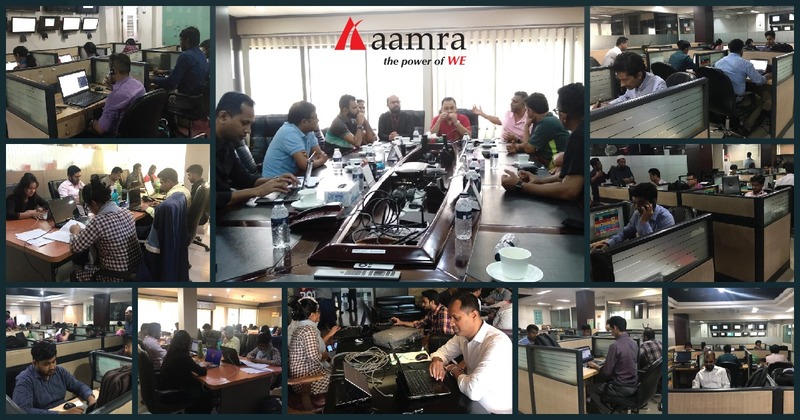 Different concerns of aamra already maintains 4 floors (9, 12, 15, 16) at Safura Tower and they graciously shared spaces with their colleagues affected in the FR Tower fire. Our networks, infrastructures and systems were already up and running and to the best of our knowledge, our clients did not suffer even for minute. Different teams of aamra, i.e. Sales, Internet of Things (IOT), Brand & Product Development, Credit Control, VAS, WiFi, R&D etc are currently working from Safura Tower. We would like to assure you that all aspects of our business are functional and operating in optimum pace and efficiency. At aamra, we are always sincere and dedicated to our clients. We would like to assure you and all of our valued clients that our commitment and resolve to serve you is infallible and this undesired accident has not changed that for a bit. We are here for our clients, like always. We may have been temporarily shaken by this tragic event, but we are back on our feet and stronger than any time before! Thank you for being with us. We are proud to serve you!